Smoke detector TSS8030R for early warning of a fire condition. TSS8030R is a smoke detector with dry contact relay output and IP30 protection. 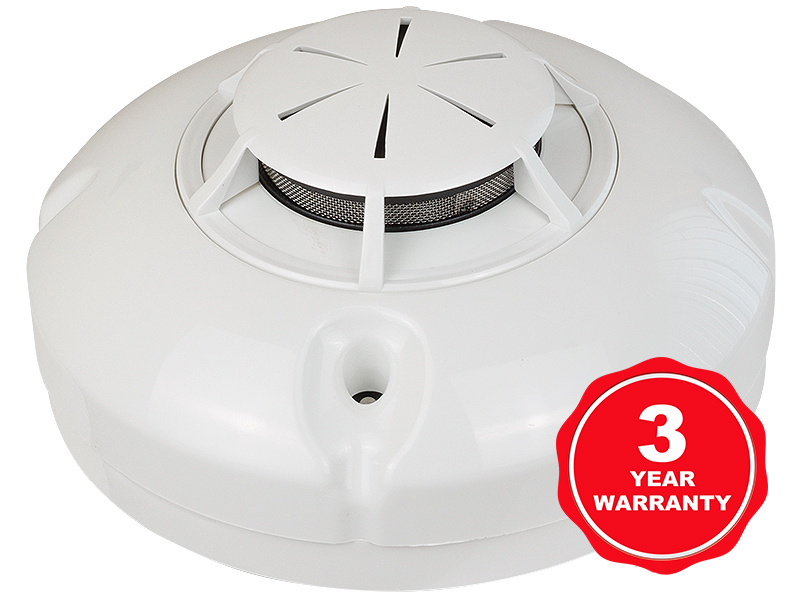 TSS8030R is a smoke detector, designed for early warning of a fire condition. It responds to fixed threshold smoke concentration detected in the protected rooms. The principle of functioning of the detector is based on infrared rays distraction caused by smoke particles entering the optic chamber. The smoke sensitivity is factory preset. The fire detector is controlled by a microprocessor, operating on the basis of improved algorithm for self-compensation of the chamber contamination. The smoke sensor has a relay output and can be used with controllers which have digital inputs in “dry contact” mode. LED indicators for status information. Mobile operator facilities smoke detection monitoring.